Rethink wants to remind you of the true cost of wildfires. It is often said that you just can’t put a price on some things. 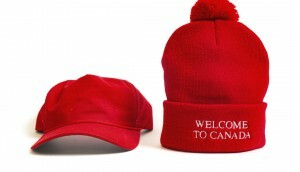 And the beautiful nature of Canada is usually among those priceless things. But it seems the best way for to solve the recurring problem of wildfires damaging vast lands of nature in British Columbia just might be to put a price on it. In fact, we found some actual giant price tags on trees in the forests and grasslands of greater Vancouver. 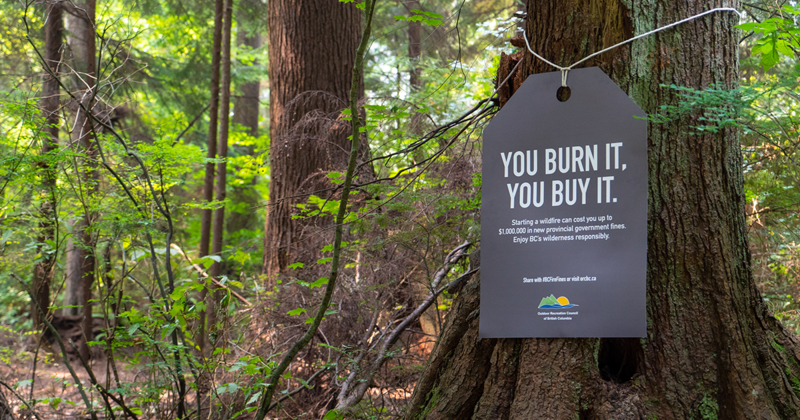 In an initiative to highlight human apathy towards nature, Outdoor Recreation Council BC collaborated with Rethink to create a campaign used oversized price tags at popular Vancouver outdoor spots during peak fire season to remind people of the cost of starting wildfires. 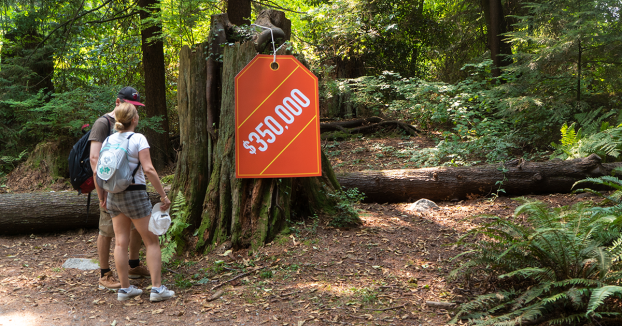 The exorbitant price tags are actually the fee one has to pay as BC provincial government fine (ranging up to a $1,000,000 – the going rate for a Vancouver starter house) which came into effect earlier this year to incorporate strict action against those violating the laws. 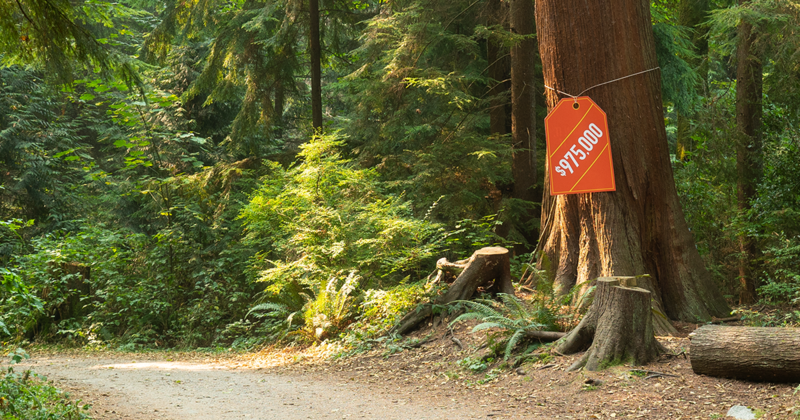 While the concept of using price tags on trees is a very snarky yet eyeball grabbing campaign, the overall tone of it surely gets us thinking. Imagine facing a huge pine tree with an orange price tag telling you the price of it and asking you to enjoy the wilderness of BC responsibly? 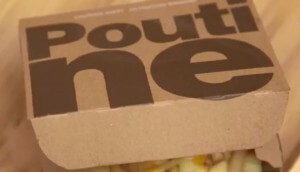 The message is clear: You burn it, you buy it. As the province continues to witness one of the worst wildfires in the history, so much so to be referred to as the ‘wild fire season’ by the locals, it would be noteworthy to point that humans have been responsible for more than 400 of them this year. On average, the Wildfire Service says 40% of fires over the past 10 years, or 666 per year, have been caused by humans. Campfires, cigarettes, flares and car accidents are some of the ways that have triggered these fires and led to create blazes damaging hectares of land. More than 12,984 square kilometres of the province has been burnt due to wild fires this year, making it the worst fire season on record.